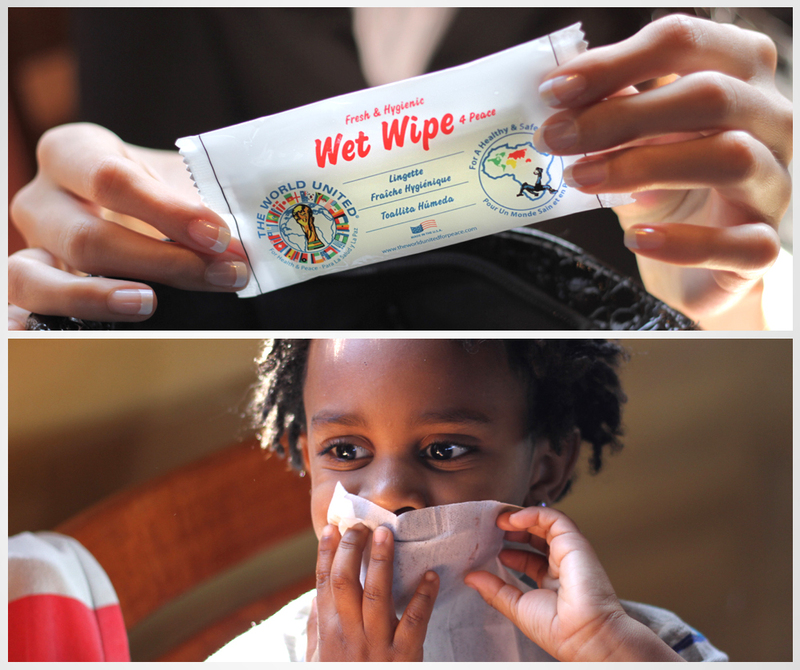 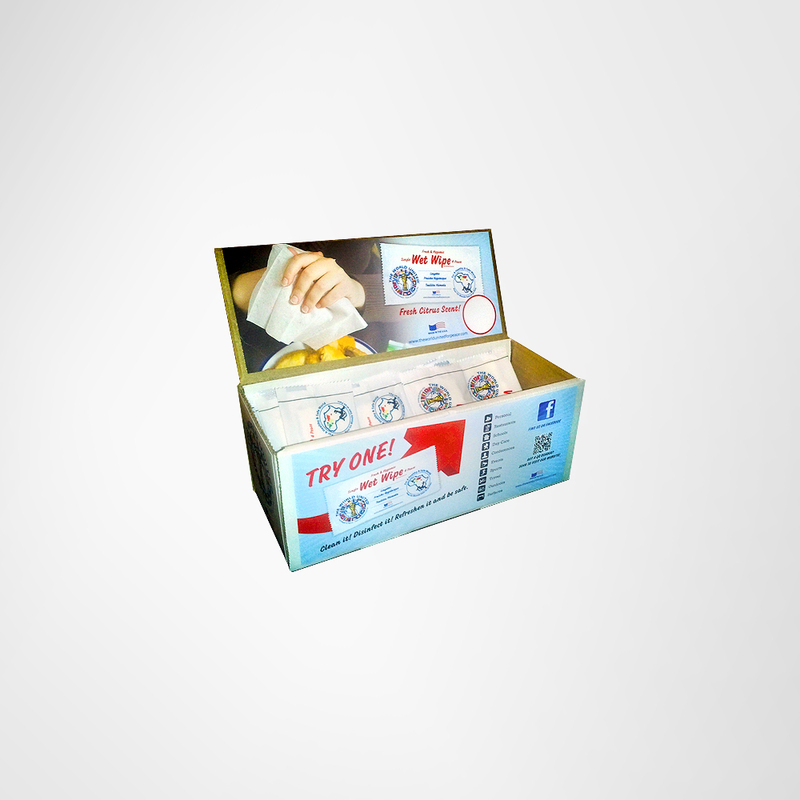 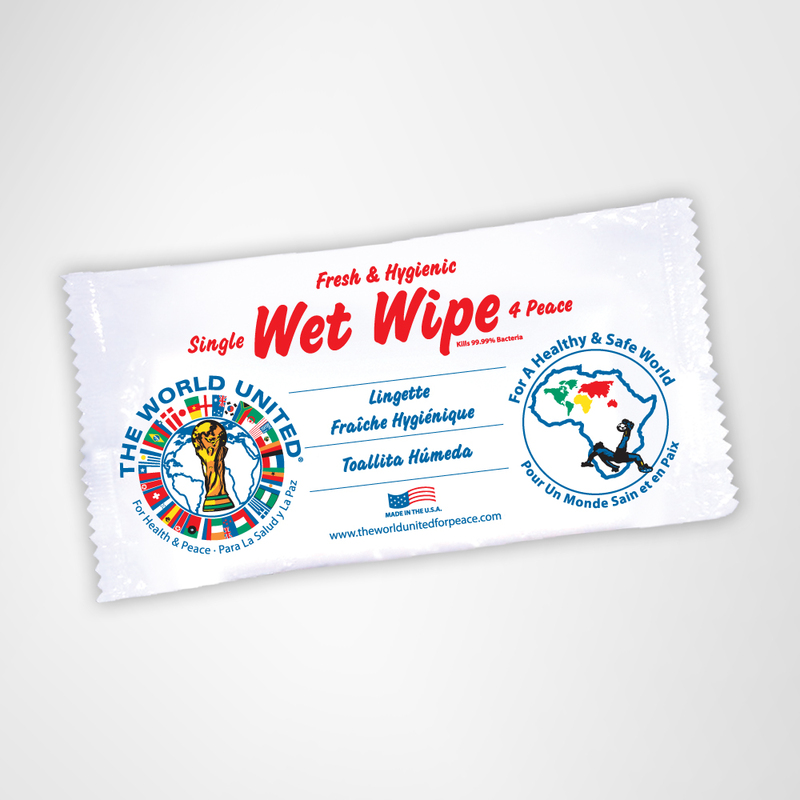 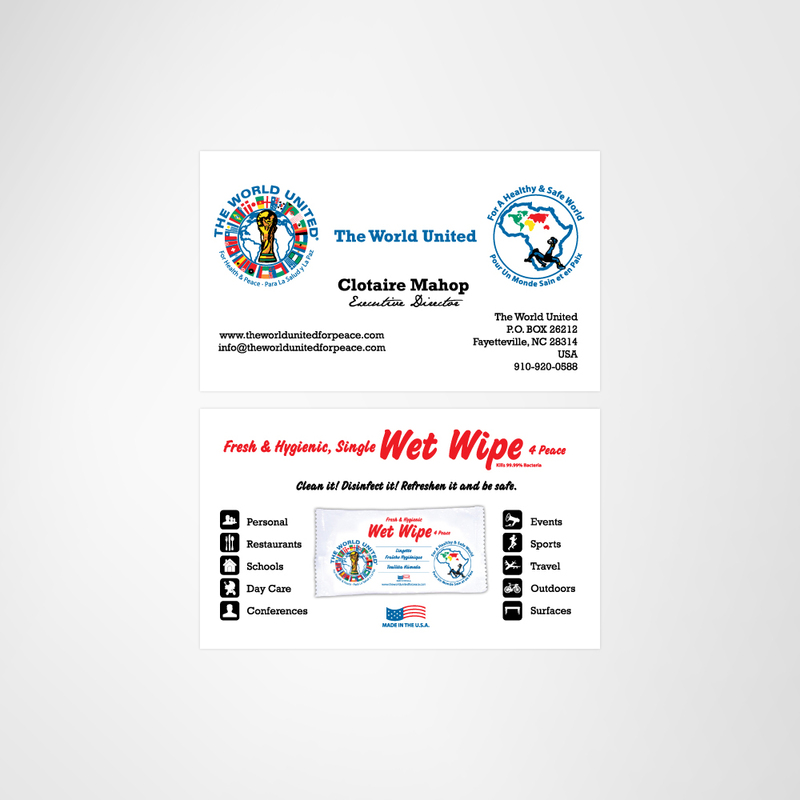 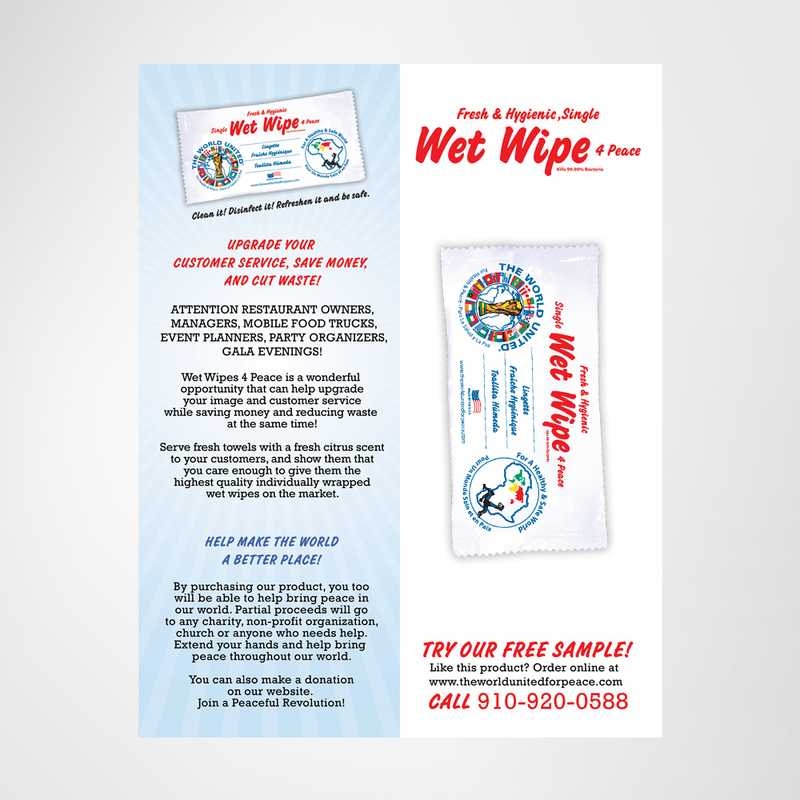 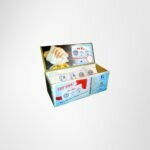 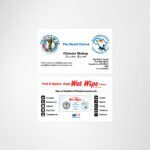 Wet Wipes for Peace also known as The World United for Peace is a company to produces wet wipes for varied uses. 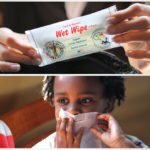 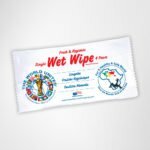 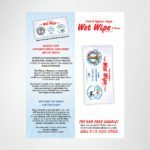 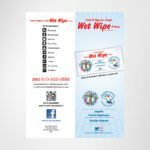 This hygenic wet wipe is great for on the go! 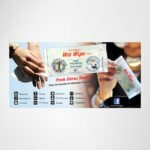 Lucki Media has created the brand from the ground up. 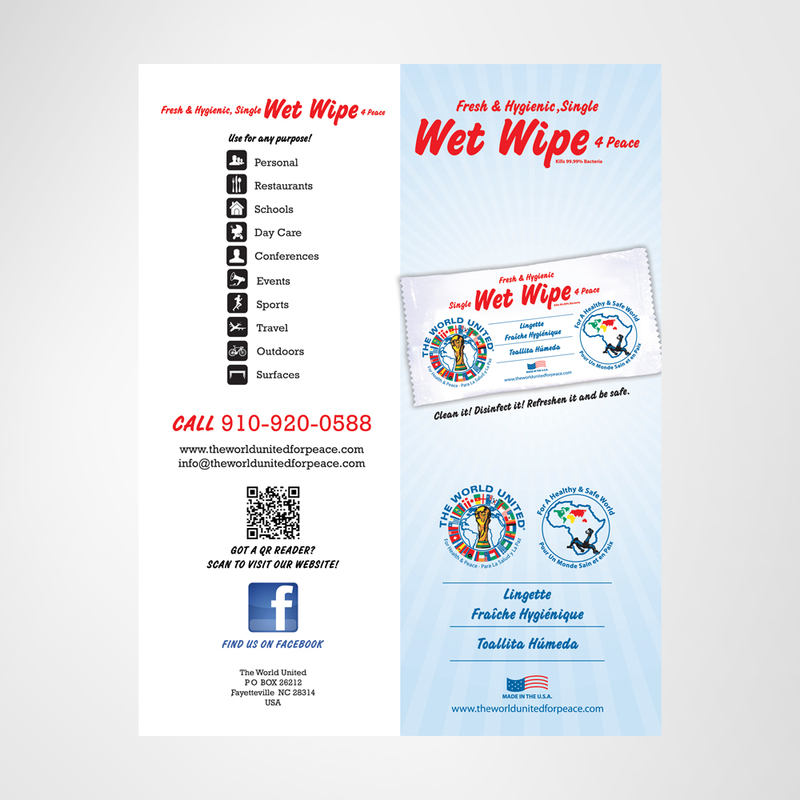 From logo design, business cards, website, product display, product packaging, banners and more. 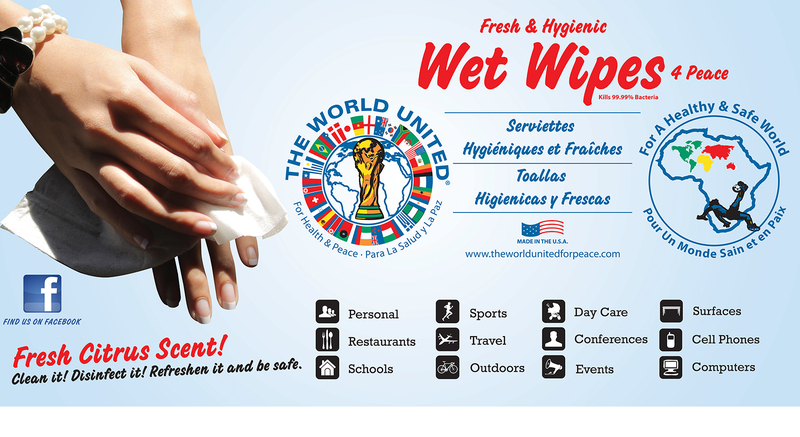 This brand will not go unoticed.